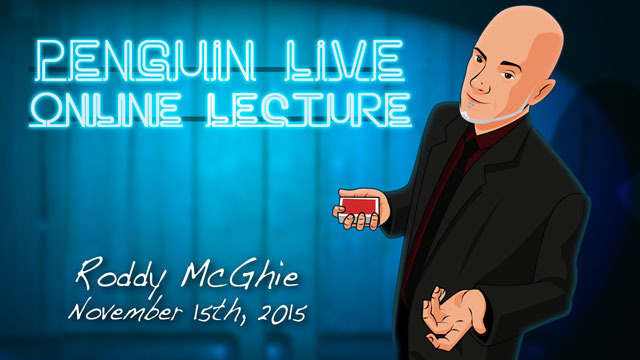 Today, when you order "Roddy McGhie LIVE", you'll instantly be emailed a Penguin Magic gift certificate. You can spend it on anything you like at Penguin, just like cash. Just complete your order as normal, and within seconds you'll get an email with your gift certificate. 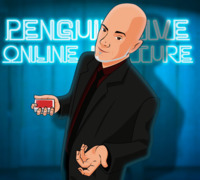 Roddy McGhie LIVE (Penguin LIVE) This creative genius teaches us a massive amount of his original and powerful close-up magic! SUPPORT LIVE MAGIC. DOWNLOAD THE FULL LECTURE TODAY. Jester – The Joker finds the spectator's card in the most surprising way. They won't see this one coming! Freaky Psychic Kid – Your spectator freely names any card, yet you prove that your freaky psychic kid knew all along. We Make Any Sandwich – A sandwich trick without the cards! You show an envelope which is seen to contain a single photograph of the most bizarre yet delicious sandwich you ever ate. Your spectators take a guess at the ingredients, constructing the weirdest, most random sandwich they can imagine. You remove the photograph and show they were 100% correct. FrankenDoh – A signed coin is found inside a ball of Play Doh. How it gets there has to be seen to be believed! Animal Magic – Your spectator chooses an animal at random from a list which they then fold in quarters. With a touch of flame the paper instantly transforms into an origami representation of their chosen animal. Midas Jnr. - Borrow a penny and cleanly demonstrate your ability to magically transform metal as you slowly start to turn the penny silver. You then give your spectator the “power” and they finish job leaving them with a solid silver penny as a magical memento. Restored with Style – Roddy's signed, Torn and Restored business card effect. Don't just leave them with a business card. Leave them with proof of a magical moment! This is a card they WILL keep. PhotoShocked – Forget Photoshop. Demonstrate your ability to physically alter a bunch of photographs in the most visual way using magic alone! The Napkin Rose – Roddy's take on the napkin rose. This takes the traditional napkin rose to another level. In a few easy steps you’ll be able to create a beautiful, life like rose from any paper napkin. Card Nav 2000 – A signed card is lost in the deck. Then, using your “Card Nav 2000”, the spectator finds the card in an impossible location. Magic Coin – Roddy's take on Richard Sander's “identity” using a borrowed coin. A Bit O Blaine – A two phase mini card through window routine using a Tic Tac box. Cornered – A visual torn and restored corner routine using an easy to make gimmick. 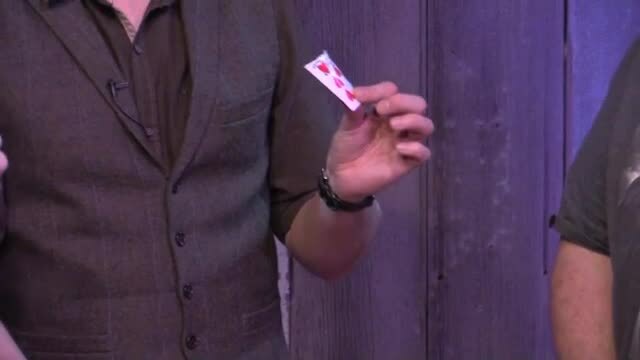 Roddy is a close-up magician with big fans among magic's big names. For many years, Roddy operated 'under the radar' applying his talents to creating effects for his own close-up performances and creating unique, original effects for a number of TV productions. Roddy first caught the magic bug at the age of 7 when he bought a second-hand magic set from a jumble sale. A magic shop opening next to his school in Renfrew, Scotland further ignited his interest, and time that should have been spent on homework was spent crafting his own effects and gimmicks to amaze and delight his school friends (and the occasional teacher). Roddy has always enjoyed performing (or showing off, as his wife calls it). 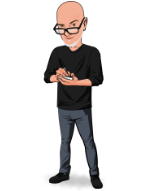 He spent many years in punk bands in Glasgow before eventually deciding to take up magic professionally in his 20's. He now performs regularly at weddings, parties and corporate events testing out his new inventions with unsuspecting audiences. Glasgow audiences are a famously tough crowd, so the effects that Roddy brings to you in this lecture have stood up to this test. Roddy has carved out a name for himself over recent years as a creator of awesome, off-beat routines and crazy clever gimmicks. With the encouragement of David Forrest from Full 52 he has brought these to the market over the last few years. His effects Sew On, Incognito, LollypOp (with Danny Weiser) and Flux have been universally well received, with Flux becoming a worldwide best seller recommended by Cyril, Michael Weber and Luke Jermay among other big names. This lecture will invite you inside the mind and creative process of one of magic's true originals. Purchase the Roddy McGhie LIVE product. This is your ticket. Not an experienced lecturer-- but obviously an experienced performer and creator. If you're looking for original effects-- or want to learn how one goes about creating original effect-- this is filled with great ideas. To be fair, I thought this one was only so so. I've purchased multiple lectures and for the most part thoroughly enjoyed just about all. I found this one a bit hard to sit through. Roddy seems like a nice guy, but just seemed ill-prepared in many instances with awkward pauses or things that flat out just didn't work. One item he was to lecture on, he couldn't even find it and had to eventually just move on from it. I also thought the material was very 'basic' for lack of a better word. A 4-hour lecture that is more than just tricks. Roddy McGhie shares his creative thinking, which you can use to make the effects your own or create new effects. My favorites are The Napkin Rose, A Bit O Blaine and Restored with Style. 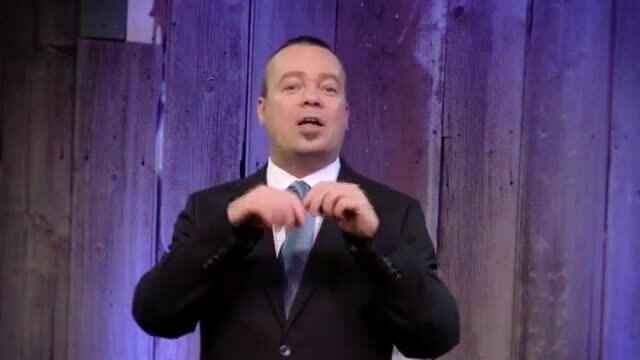 Every magician/mentalist will get something from this lecture. A lot of fun his moves were very handsy. His presentation lacked any adequate misdirection but there were some interesting concepts. Okay, Roddy is a dang clever guy! He really got the gears turning in my head, and I'm so happy that we got to see some of that in this lecture. I love magic that create a surreal moment of wonder, illusions that are close enough to touch. Roddy Mcghie creates these kinds of miracles. I really like the idea of having animated hand of play dough reach out and grab a coin, sucking the coin inside. Roddy is such a creative guy, even if he's hard to decipher. I am a Roddy McGhie fan, but I was not fan of this lecture. I agree with the other reviewer that lot of his routines were "basic" (excuse my lack of a better term), I like basic routines, but almost all of his ideas in this lecture were either incomplete.not entertaining or not magical. They are definitely not workable in the real world, and it's obvious that Roddy doesn't use them in the real world as he struggled to remember many of them. One of the tricks Roddy taught used a signed magnetic coin, I thought that was an inappropriate trick to teach as we don't have them in the U.S., as he referenced " that's our problem". He also lost one of the tricks, live during the lecture, that he was suppose to perform. One of the biggest disappointments for me was that he did not teach his new improvements on flux, as said in the ad copy and he said in the beginning of the lecture. I own almost every penguin lecture, there are many other great lectures out there you should get, but I would pass on this one. I loved this lecture. So many good bits and such an honest and down to earth presentation. It's hard not to like Roddy Mcghie. I thought Frankendoh- his take on the classic Little Hand was genius. He creates a moment of wonder that has context and humor and in my mind was worth the price of the lecture. The usual pesentations for this bit have always lacked something for me, and Roddy has fixed that. He's more than fixed it; he's created something magical and new. What Paul Harris' Little Man effect from a few years ago was unable to achieve, Roddy pulls off with far less jiggery pokery and ten times the astonishment. Frankendoh is beautiful and the rest of the lecture is top notch as well. Thanks Roddy!